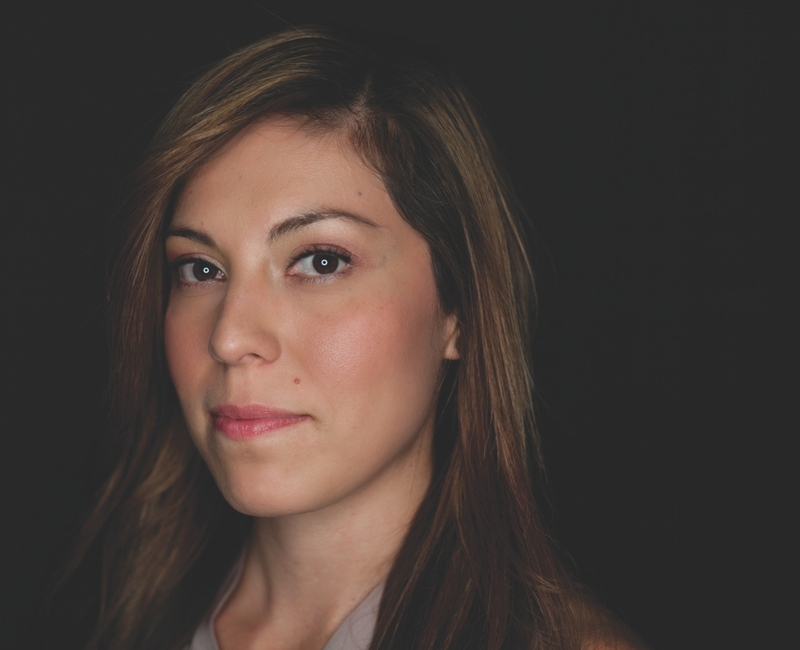 “Security − I spent almost two decades searching but never finding it,” said Crystal Muñoz. “I lost my sense of security when I was kidnapped at gunpoint by a family member who didn’t have permission to see me. At home, there was alcoholism, and the police would occasionally show up because people were fighting. Conflict was never discussed, and I thought living like that was normal. “I had my first relationship when I was 14 years old. It lasted for five years, and at 19, I became pregnant. Immediately, I decided to have an abortion. I wanted to go to nursing school and knew it would be challenging if I had a child. When I became pregnant again, I had a second abortion. This time, it was more emotional. I didn’t tell anyone except my boyfriend and a close friend. I was too ashamed. I wanted to put the sadness and pain in a box and never talk about the abortions again. “I moved from one relationship to another, molding myself into whatever I thought a man wanted me to be. When a relationship didn’t work out, it was devastating. I started having panic attacks and soon had a hard time functioning. My mom and sister came to San Diego where I was living because they knew I wasn’t doing well. “My sister had become a Christian during that time, and she asked if I’d be willing to go to church with her. Growing up, it would be a stretch to say I’d ever really considered God. The few times I went to church as a kid, it never engaged me. But I went with my mom and sister. I was depressed, anxious and had no direction in my life, and I found comfort and peace at church. Later, I talked with my sister about the Lord, but I really didn’t get it. “Two weeks later, I moved back to Dallas, and my aunt invited me to come to Watermark. I started getting involved here, but still had one foot in the bar scene. That was never fulfilling and always left me feeling empty. God changed me when I understood exactly what the Lord could do in my life. I learned that Jesus died for my sins – the alcohol, abortions and inappropriate relationships – so that I could be forgiven. Security could actually be found in Christ alone. It was He who really loved me. “I decided to trust Christ and walk with Him. It was clear that I was nothing without the Lord. I tried to find security in my old way of living but it never worked. I found a new source of security in the words of Ephesians 4:22-24. God was transforming me into a new person through Christ. “My community of friends and the people I met through the Equipped Disciple ministry showed me how to build a relationship with Christ. I wanted to have His word written in my heart so I could remember it always. In community, I learned what it really meant to love others with God’s grace and share about who Jesus is. I finally felt like I had a purpose in life. I’d never felt such peace and joy. “I also decided to be part of Someone Cares, which ministers to women who have had abortions. Acknowledging those I aborted as babies who were part of my life was the hardest thing ever. I went from never acknowledging the abortions to grieving my children…from refusing to discuss this part of my story to sharing my story on a blog at Watermark. I also began advocating for laws to protect the unborn. God has led me to do things I never thought I’d be able to do. “While I was at a pro-life rally in Austin, I stayed with an old friend who was actually at the same rally but on the other side of the issue. This was no coincidence. God had me there for a reason. I shared Christ with my friend and told her all He had done in my life. Although she is still searching, her eyes and ears have been opened to the gospel. It was a divine appointment, and I pray that God will continue to use me like that in the future. Someone Cares reaches out to the hearts of women hurt by past abortions. Our goal is to see you fully restored, and for you to know that you are forgiven. Group facilitators are women who have experienced the painful aftermath of abortion. For information about this Bible study and the next session, which will start mid-September 2013, please contact Tracy Alexander at someonecares@watermark.org. The post Secure appeared first on Watermark Community Church Blog.